Eyal has been an activist, lobbyist, political staffer, management consultant for Fortune 500 companies in banking and mining and a social entrepreneur. He is currently the CEO of OurSay, an organisation building the 21st ecosystem for public engagement and democracy. His organisation has received a Crikey Media Innovation Award and the International Association of Public Participation Core Values Award in 2013 for helping civic leaders make relevant decisions by keeping their communities close. Eyal is a World Economic Forum Global Shaper, Sandboxer, Unreasonable Institute Fellow, and Center for Sustainability Leadership Fellow. He is also a co-founder and Director of Off the Grid, Australia’s first solar powered, zero-waste, music and arts festival committed to accelerating the shift towards a 100% renewable energy-powered future. 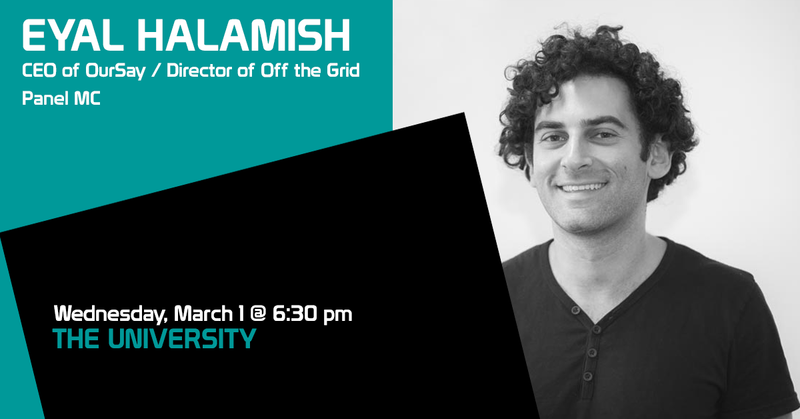 Eyal is a Director of Code For Australia and a faculty member of the School of Life where he teaches classes about How to Think Like an Entrepreneur and How to Change the World.